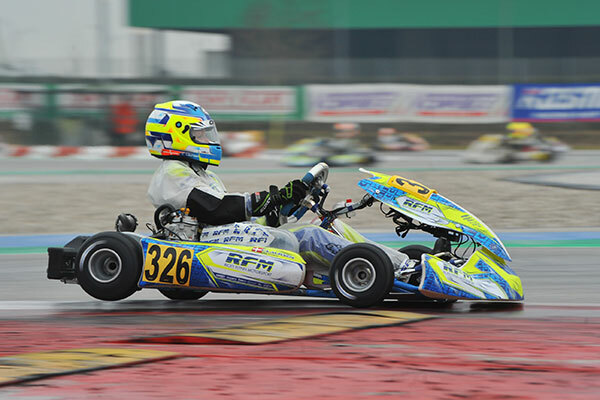 It’s wet at the opening round of the WSK Super Master series at Adria Karting Raceway in Italy. James Wharton (FA/Vortex) qualified 24th (of 61) in OK-Junior and carded heat results of 10-9-10-7. This moved him up the order, ranked 17th overall. He will start from grid 9 in tonight’s Pre-Final A. The fight on top of OK has been quite tight. The Scot Dexter Patterson (KR-Iame-Bridgestone) eventually came out victorious and led the Russian Kirill Smal (Tony Kart-Vortex). Both scored two wins each, but a third place allowed Patterson to clinch the pole position for Prefinal A, while Smal had a sixth place as the third result. The latter is the main rival of the Scot, as he won the direct challenge in one heat. Smal will start Prefinal B from the pole position, as his fellow country-man Aleksey Sizov (Tony Kart-TM) is set to start next to him. The Dutch Dilano Van T’Hoff (Exprit-TM) will start next to Patterson instead. In OK Junior, problems with the wet compromised the final qualifying result of a lot of drivers. The victory scored in some heats was not followed by as good results in the other races held today. 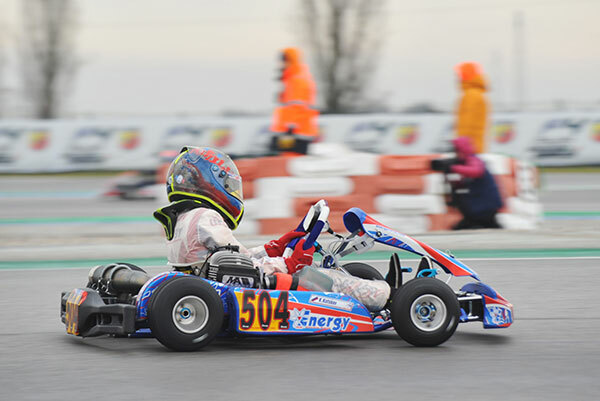 The only driver managing to put in a certain constancy of results was the Dane Conrad Laursen (FA Kart-Vortex-Vega), who claimed three top-three finishes before winning the closing race of the day. Laursen will start Prefinal A from the pole position and will have the Spanish driver Josep Martì (Tony Kart-Vortex) next to him, as the latter claimed one win. The pole position of Prefinal B went to the Brazilian Rafael Camara (BirelArt-TM), who was always in the top three today. The Italian Paolo Ferrari (Righetti Ridolfi-TM-Vega) will get away next to him after being the quickest yesterday in qualifying practice. A great fight is ahead in 60 Mini since the Russian Kirill Kutskov (Energy-TM-Vega) secured four wins in the heats, as did the Brit William Macintyre (Tony Kart-Vortex). 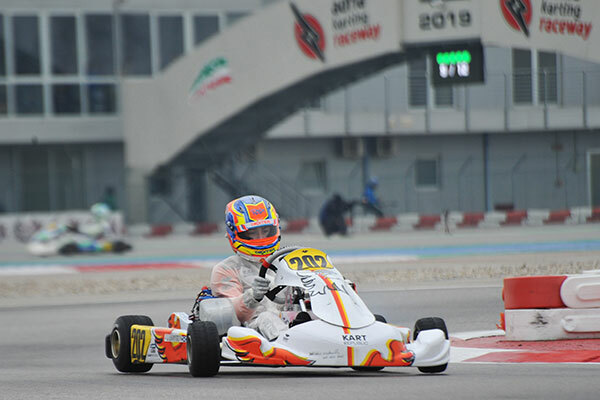 An additional second place earned Kutskov a pole position start in Prefinal A, where he will have his fellow-countryman Alexandr Tibekin (DR-TM) next to him, as the latter also claimed one win. 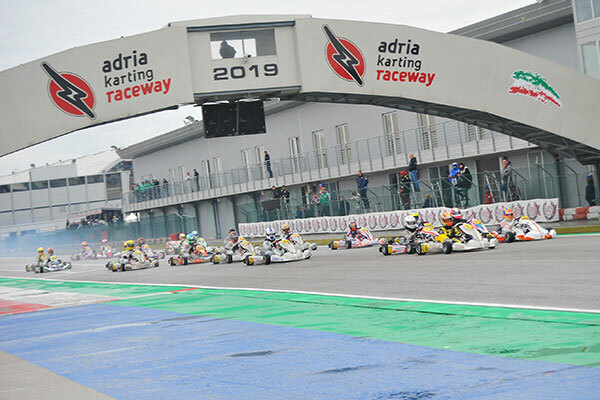 Macintyre will start Prefinal B from the pole position and will have the Manuel Scognamiglio (Tony Kart-TM) lining up next to him on the starting grid, as the Italian won the closing race of the day.